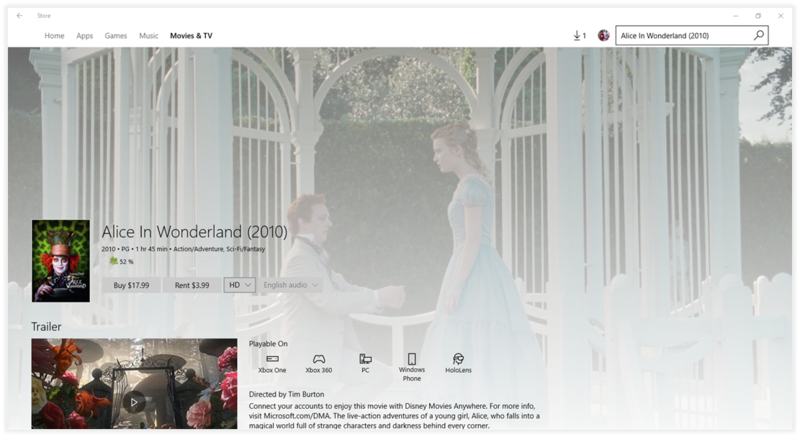 For Windows Insiders in the Fast ring, we are rolling out an update to the Windows Store that brings some improvements designed to make it easier to find the apps, games, music, movies and TV shows you’re looking for. It’s easier to discover new and exciting content with a design update that includes a new hero spotlight. 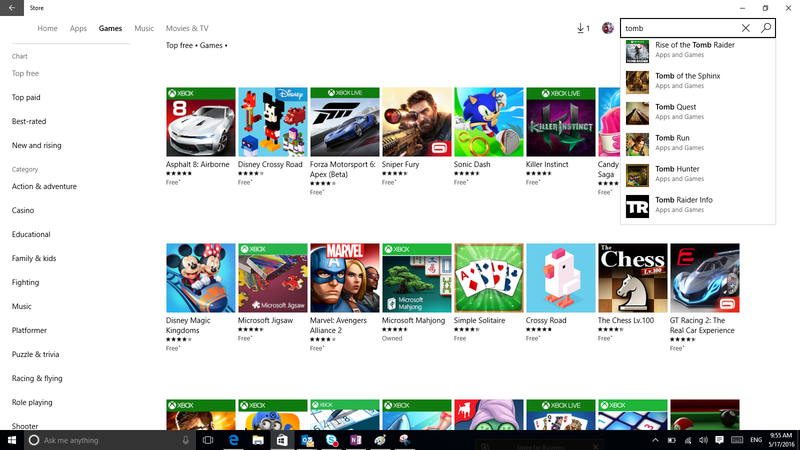 We’ve updated the search suggestions and added new filters to help you find apps and games. 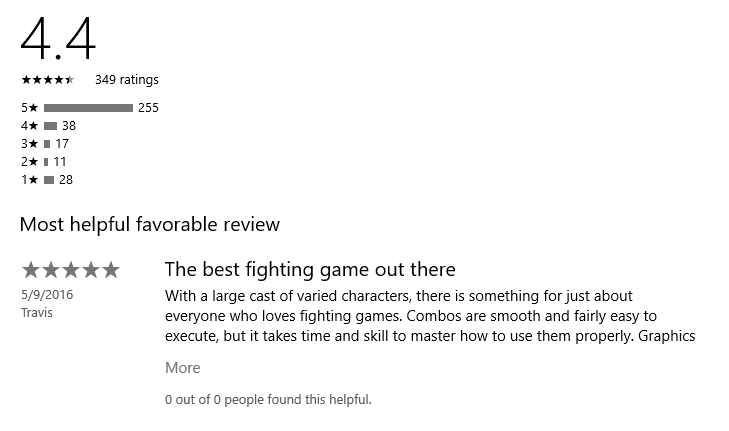 Quickly see what other Windows users say about your favorite apps and games with the new histogram and the most favorable and critical review. Apps and game screenshots are now in a collage that links to the slide show viewer. 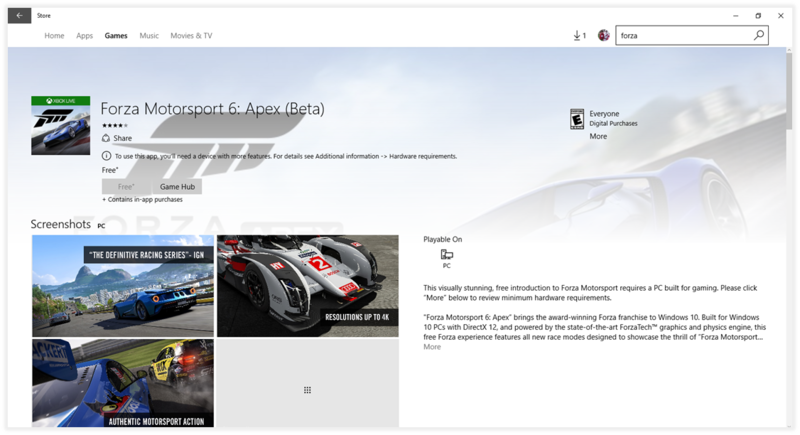 It’s a fun way to check out new games like Forza Motorsport 6: Apex (Beta)! We hope you enjoy these updates. There is more to coming. 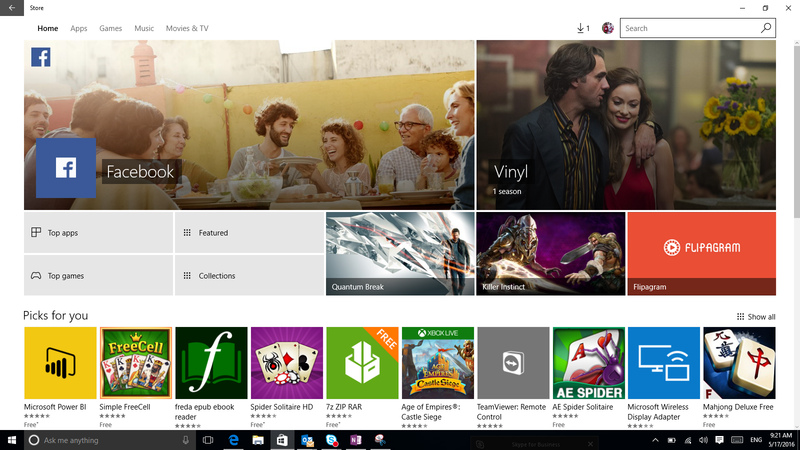 In the meantime, try out these new features and send your feedback!